The group was formed in 1996 by Kevin Mitchell ZL1KFM, Vaughan Henderson ZL1TGC and Ann Walker ZL1TRH. 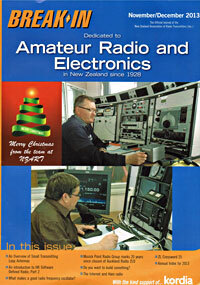 The original name was the Echo Radio Group, and the club was incorporated to support the South Auckland Repeater Group. A short time later the name was changed to Suburban Amateur Radio Club and in 2012 the name was changed again to Musick Point Radio Group.